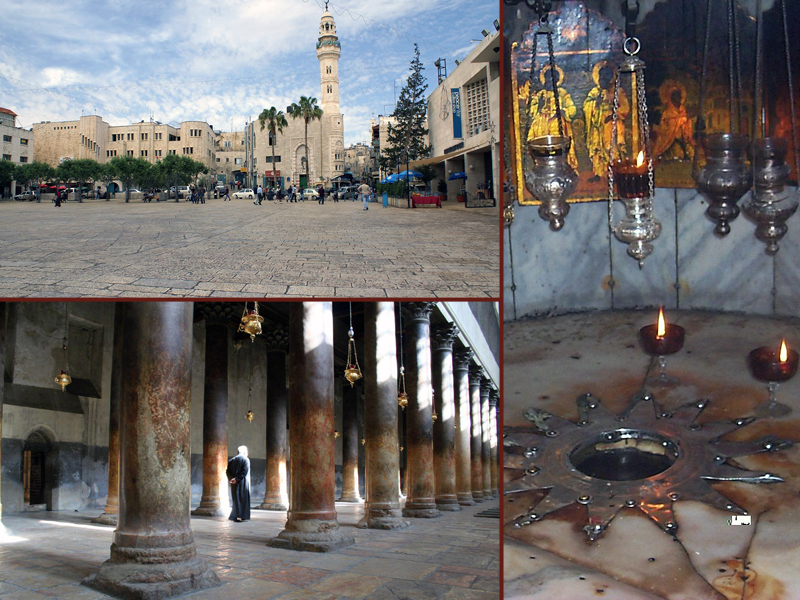 Pictured below, the Church of the Nativity is built on the site, which tradition holds to be the birthplace of Jesus. It’s the oldest church in the Holy Land still in use. Construction began in the year 326, based on the local tradition that Jesus was born in a cave on the outskirts of the village. According to the Gospel of Luke, Joseph and the heavily pregnant Mary traveled 70 miles from their home to Bethlehem to take part in a census. 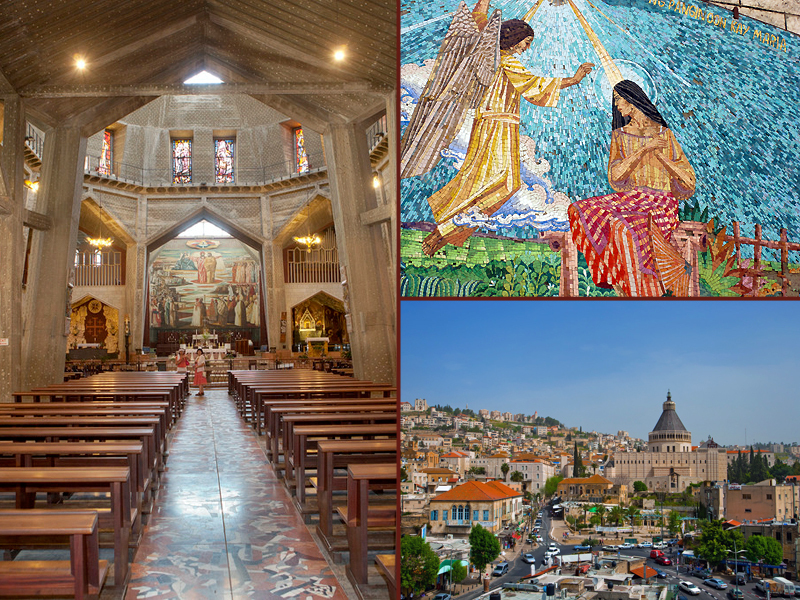 The church below is built on one of the traditional sites of the Annunciation, the home of Mary and Joseph in Nazareth. The angel Gabriel appeared to the young Mary and announced that she would conceive a child by the Holy Spirit. The church pictured is a modern structure, built on the remains of Byzantine and Crusader era churches. Although possibly born elsewhere, Jesus spent most of his life in this town in the northern region of our mystery country. Nearby, another church stands on the traditional site of Joseph’s carpentry workshop, where Jesus worked before beginning his ministry. When Jesus was 30 years old, he left Nazareth and settled in the village of Capernaum, about 30 miles away. The village sits on the northern shore of the Sea of Galilee, which is actually a fresh water lake, known locally as Lake Kinneret. 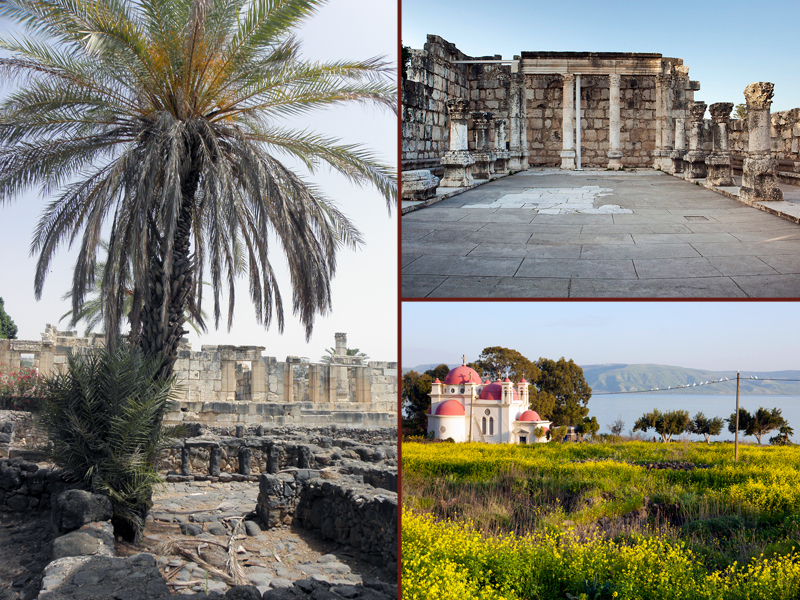 Several of Jesus’ disciples lived in Capernaum. The synagogue pictured below post-dates Jesus but is built on remains of a synagogue where he certainly preached. Click to see tours to Israel. 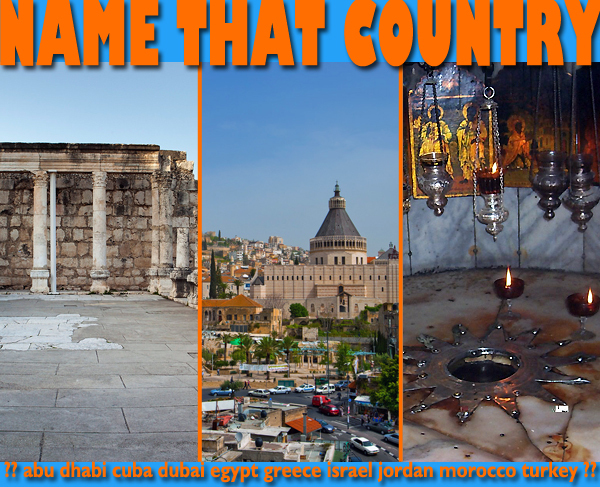 This entry was posted in Israel, name that country quiz, Uncategorized and tagged bethlehem, Capernaum, church of the annunciation, church of the nativity, Israel, lake kinneret, nazareth, Sea of Galilee by yalla2013. Bookmark the permalink.